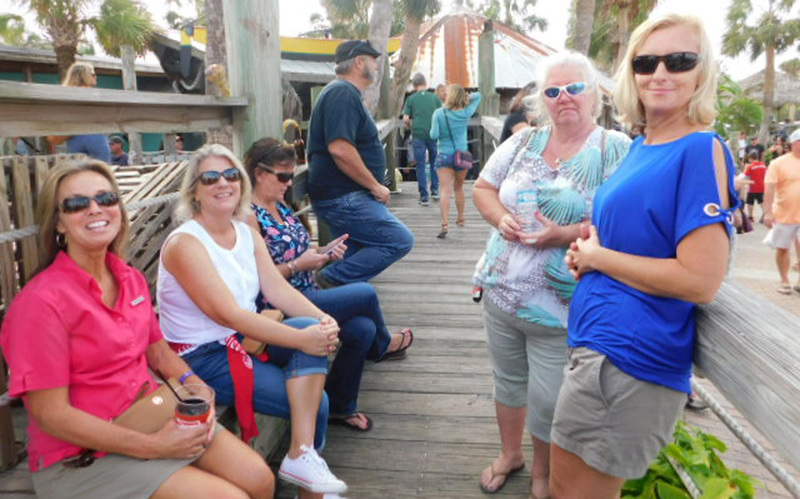 SAINT AUGUSTINE – Chowder lovers packed the Conch House Marina Nov. 5 to taste test chowders from St. Johns County’s premier restaurants. It was all in the name of charity, as proceeds were donated to Big Brothers, Big Sisters of St. Johns County. The tradition of the Conch House event dates back to 1984, when founder and owner of The Conch House David Ponce and his chef debated which was best – Minorcan or New England clam chowder. That’s been the burning question ever since, and always in the name of charity. Tickets for tastes of chowder were sold for $1 each, and patrons cast their votes for the People’s Choice. Judges selected the winning entries in five categories – Minorcan Conch Chowder, Minorcan Clam Chowder, New England Clam Chowder, Seafood Chowder and Non-Seafood Chowder. Debate patron Terri Heymen snapped these photos at this year’s fundraiser.